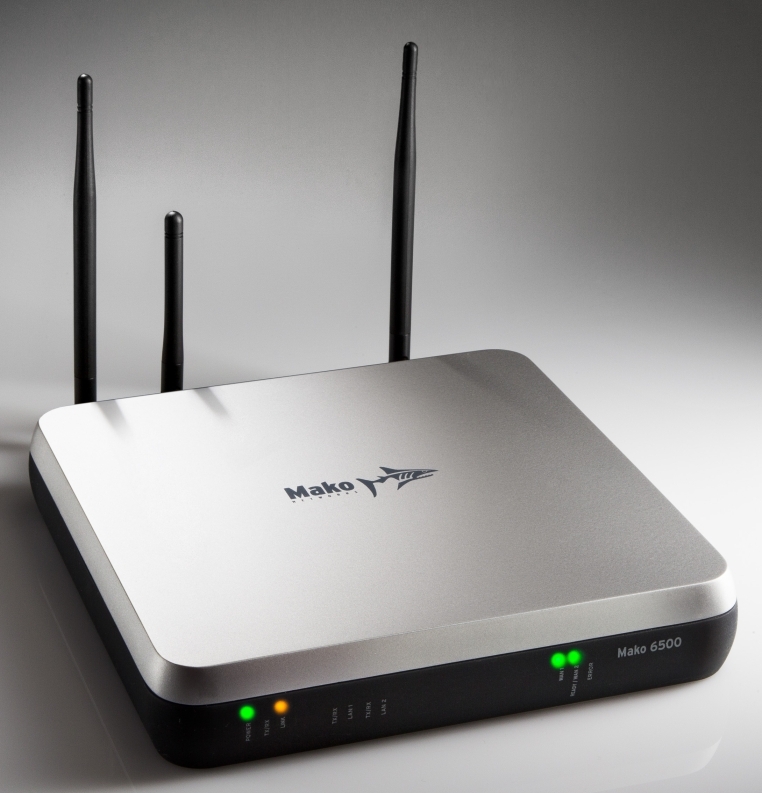 The Mako 6500 network appliance is designed to provide Internet connectivity and protection for business offices, remote sites and general use where security is a high priority. This model comes in a version for an ADSL connection or an Ethernet connection to fibre network infrastructure. Both models provide for 3G wireless failover and restore automatically with two independant LAN ports and an independent WiFi connection. Or you can configure 3G to be the primary connection with failover to an ADSL or Ethernet connection. 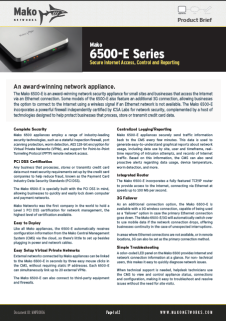 Configuration and management via the Web, accessible from "anywhere"
Download the Mako Networks 6500-E brochure, which contains a comprehensive listing of technical specifications, compliance statements and awards - download the PDF version by clicking the brochure thumbnail. 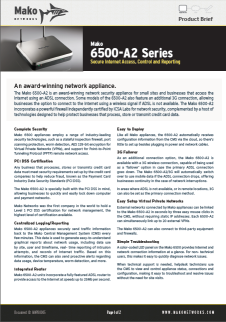 Download the Mako Networks 6500-A2 brochure, which contains a comprehensive listing of technical specifications, compliance statements and awards - download the PDF version by clicking the brochure thumbnail. To discuss your Services requirements, please Email ITCS Now- Thank you. Fonterra Co-operative Group is New Zealand�s largest company and one of the largest dairy exporters in the world, with an annual turnover of approximately USD $13.67 billion. Fonterra operates business in New Zealand, Australia and the USA.